The Ecotechnics Evolution Co2 Regulator is the perfect Bottled Gas Regulator for use with the Evolution CO2 Controller, we have this regulator produced for us in the UK from top quality components it has a fixed flow rate of 17 Litres per Minute and is our standard horticultural regulator. • User friendly CO2 Regulator that’s very reliable. 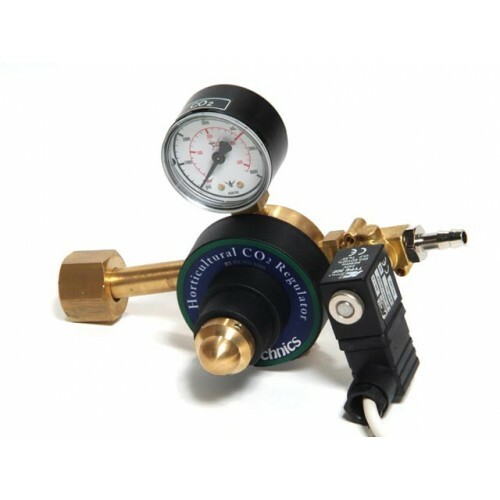 • The CO2 Regulator is really simple to set up and use. The Evolution controller utilizes the latest microprocessor and infra-red technology t..